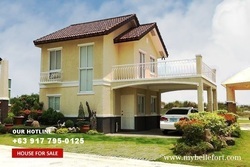 House and Lot for Sale for only P5.5M. Reservation is P30,000 (Less 50% until Nov. 30). 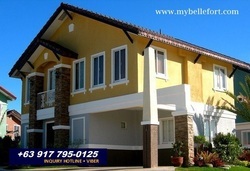 House and Lot for Sale for only P4M. Reservation is P25,000 (Less 50% until Nov. 30). Sabine has a lot area of 110 sqm and a house area of 85 sqm. It’s a single attached house with four bedrooms, two toilets and baths, a living area, dining area, kitchen, a provision for a 2-car garage and a laundry and service area. Sabine comes in green and gray colors. 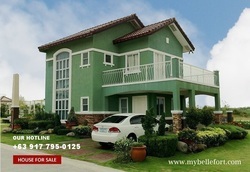 House and Lot for Sale for only P3M. Reservation is P20,000 (Less 50% until Nov. 30). 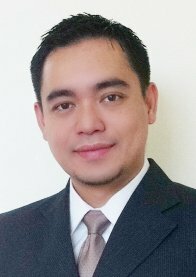 Why buy a condo when you can can a house and lot for the same money? Charlotte has a lot area of 110 sqm and a house area of 65 sqm. It’s a single attached house with three bedrooms, two toilets and baths, a living area, dining area, kitchen, a provision for a 2-car garage and a laundry and service area. It’s available in pink and beige colors. Please contact me for more information, We offer free site viewing with transportation. Thank you!